I was blessed with the opportunity to meet some amazing travel bloggers, through TBEX, that are hosting one of their conferences here in Israel during the month of March. I was invited to mingle with the group that have come for the first time to Israel, and get to know some of these amazing bloggers. I myself am more of a food blogger, but I do write about travel, mainly in Israel (theculturetrip.com, TBEXcon.com) so I didn’t feel out-of-place. the Abraham Hostel we walked over to ANNA the new Italian restaurant in the Ticho House. We were a group of 10 local and international bloggers, but the hostess wasn’t nervous at all. I learned there, that what goes on in the kitchen is much more than cooking. The restaurant is home to kids from broken homes and by cooking they keep them out of trouble, and give them an amazing opportunity to learn from head chef Nimrod Norman. 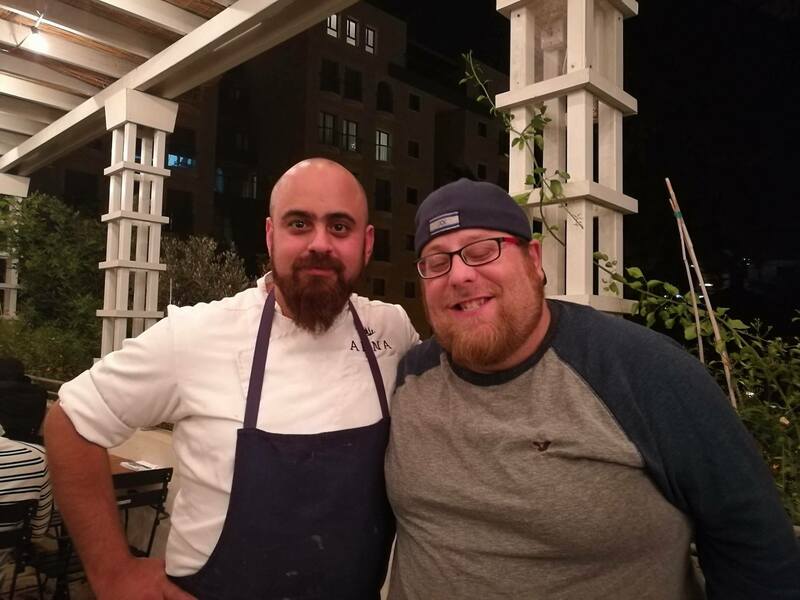 Chef Norman was a chef in the infamous Machne Yehuda restaurant for many years and was the head chef at Yudaleh, which is the bar owned by Machne Yehuda. Before I sat down I was already excited. Since we were a large group we were offered whatever the chef sent out, basically a taster menu. 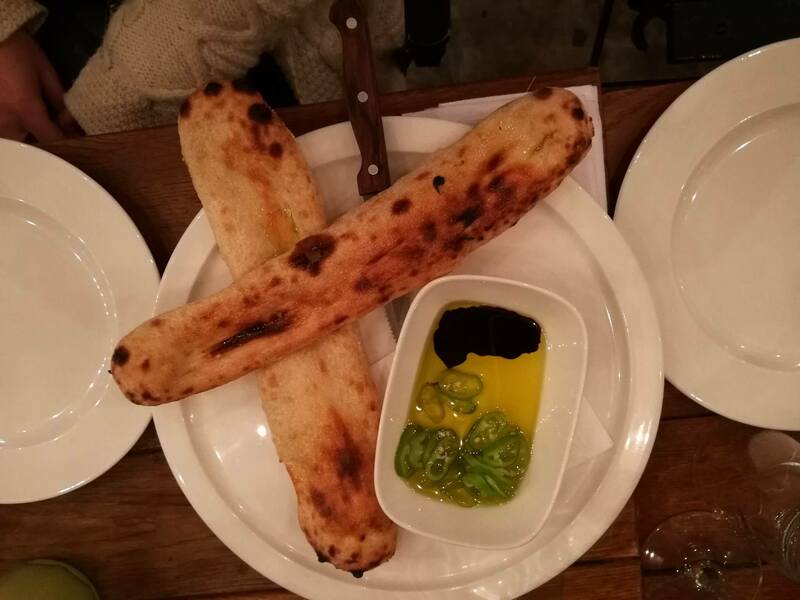 We started off with the house foccacia bread with a dip that had olive oil, balsamic vinegar, garlic confit and chili peppers. Then they gave us bread sticks to also go with the dip. Both types of bread were super fresh and delicious. Then they brought out some starters. They brought out a massive chunk of fresh goat cheese in two sauces, they brought out a Caprese salad, a crudo dish and salmon carpaccio. The goat cheese was a great sharing dish and went well with the foccacia bread. 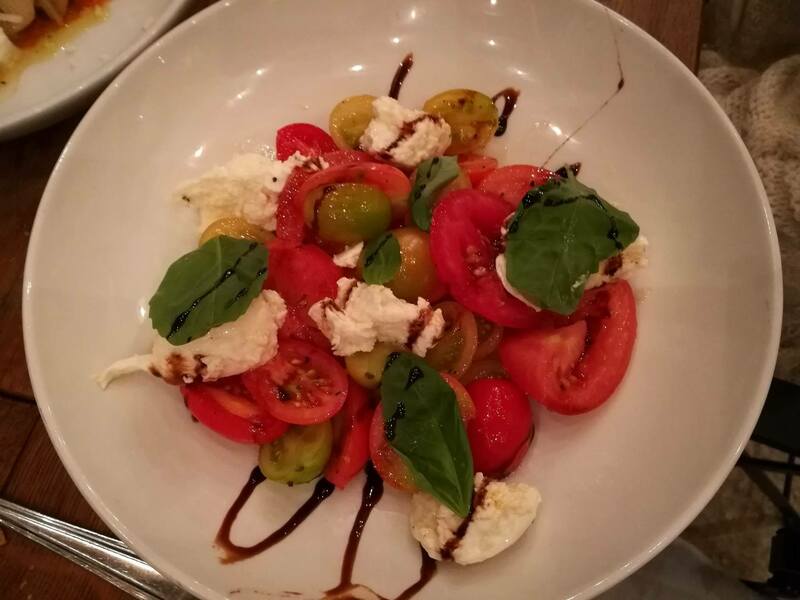 The Caprese had 3 types of tomatoes, fresh mozzarella and a beautiful balsamic glaze that brought the whole dish together. The krudo was very interesting, but tasted great. 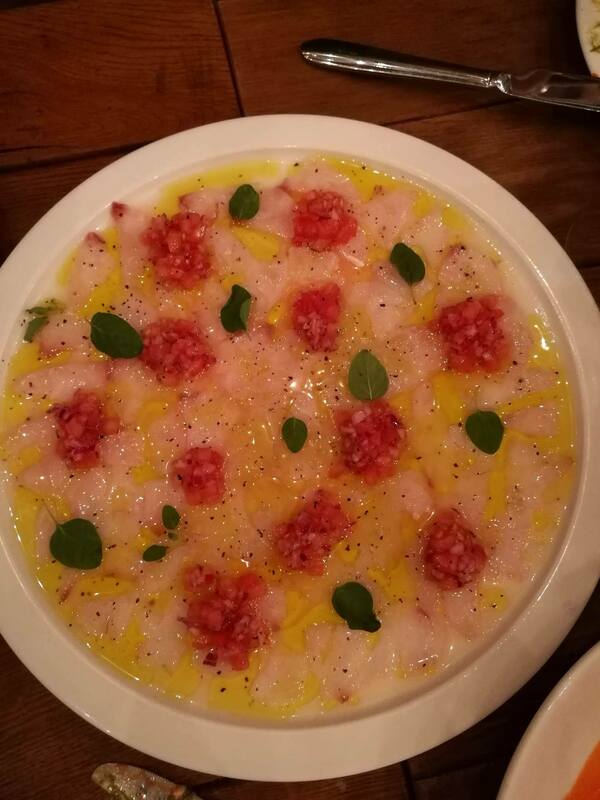 The fish was cured nicely and the olive oil and tomato was a nice finishing touch. 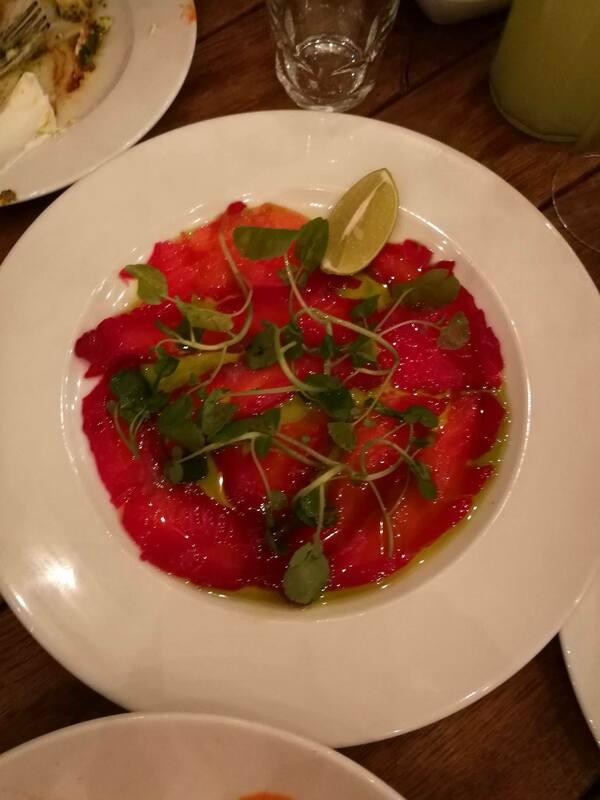 The salmon carpaccio was also a home run, had a purple hue meaning it was cured with beets and again with the olive oil, it was a perfect appetizer. 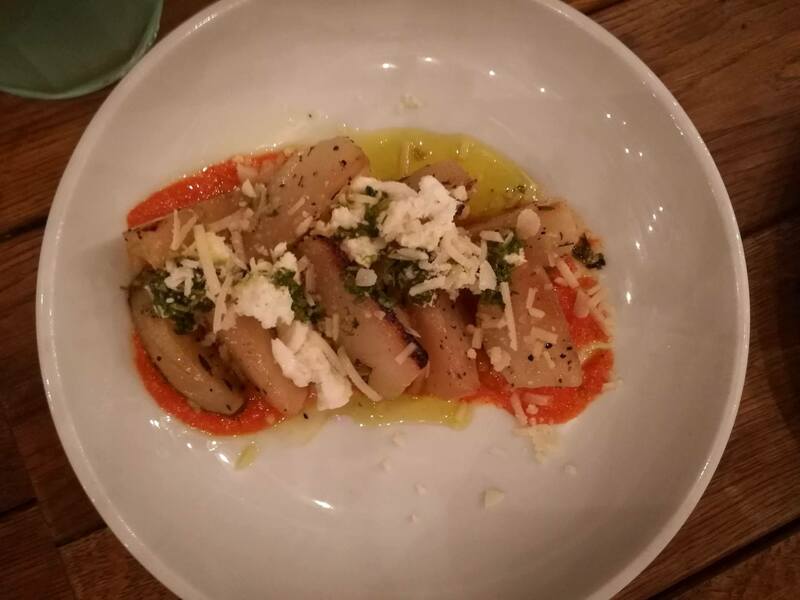 I almost forgot, they also served us a baked kohlrabi dish with fresh mozzarella and a tomato sauce which was a nice and healthy starter! The on came the main courses. Two types of pizza a margarita and a pizza Bianca, an endive salad and their homemade gnocchi. I think they thought they were feeding 100 people because they piled on the mains. 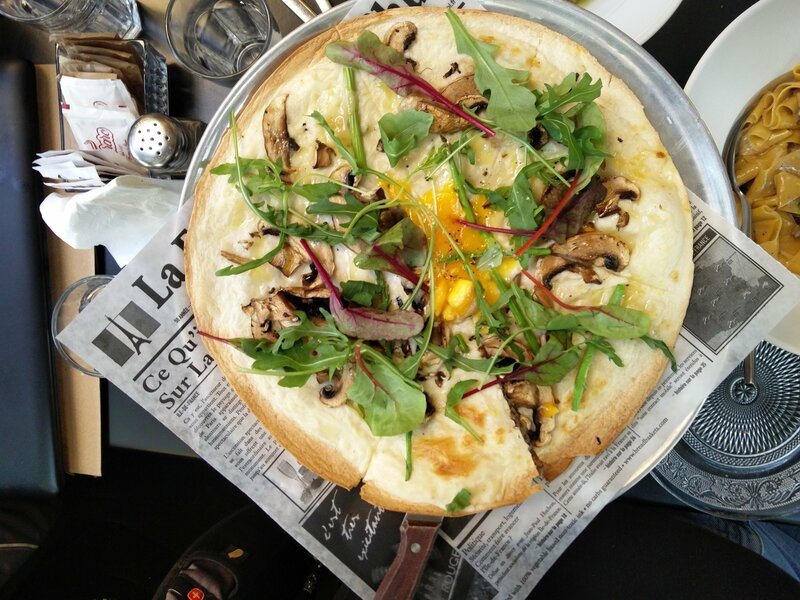 The pizza margarita was probably the best pizza I have had in Israel. 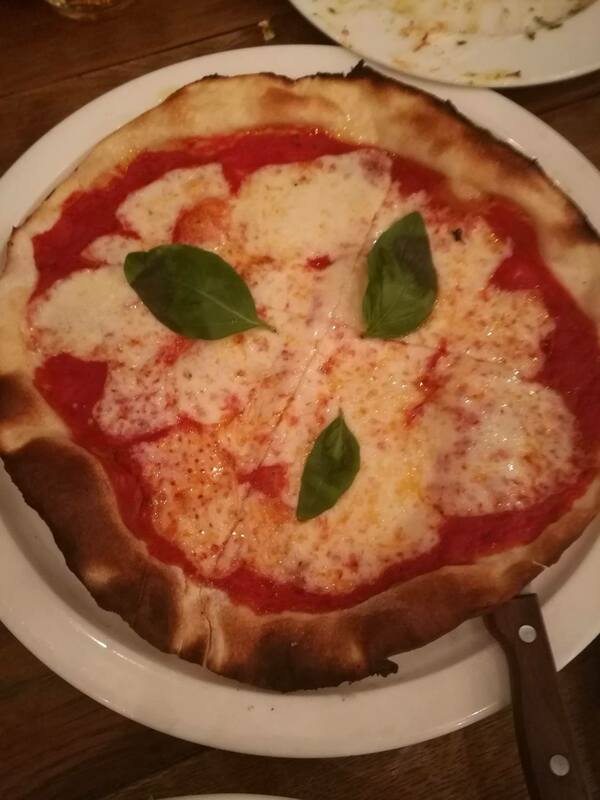 The thin crust, sauce to cheese ratio was perfect! The Bianca pizza was good, but not as good as the margarita. I can’t say enough about the gnocchi. 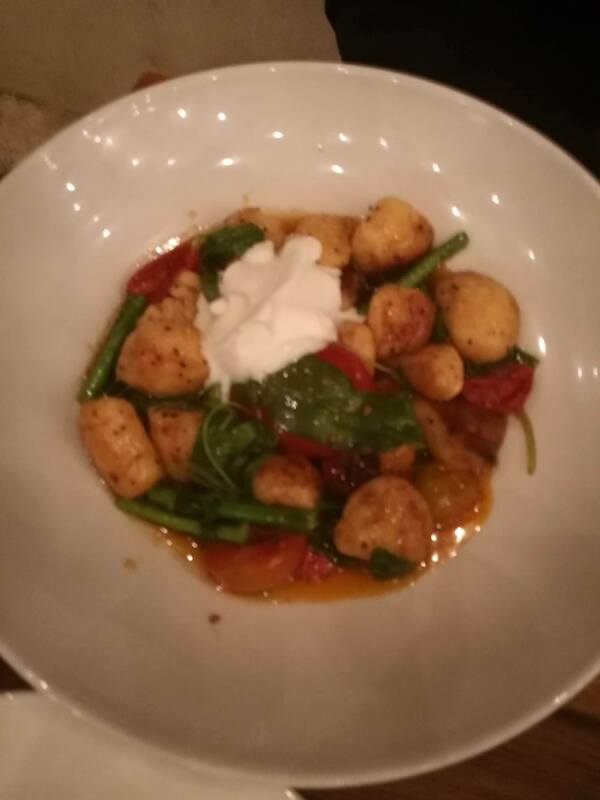 The Italians in the group said that the gnocchi in ANNA is better than in Italy, and it was amazing! The gnocchi were so light and fluffy, I could have sat there and just eaten 10 plates of the gnocchi! 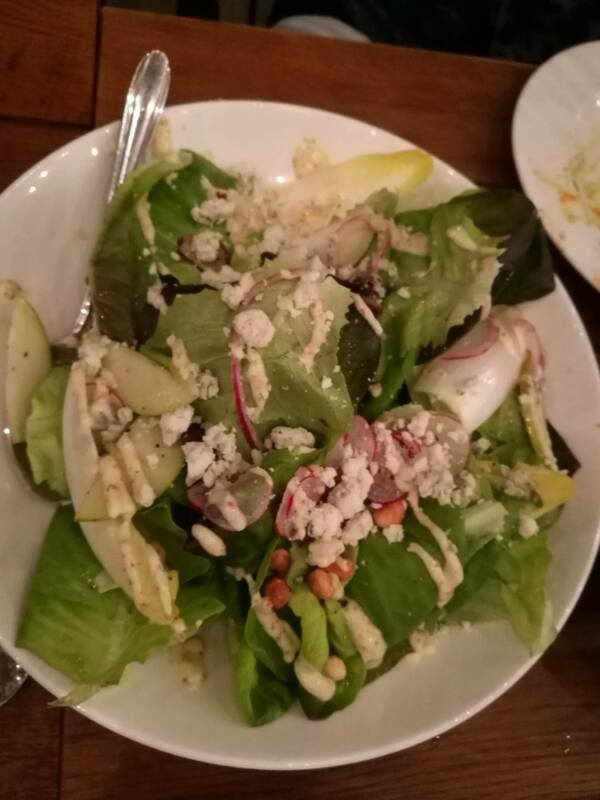 The endive salad was beautiful with the blue cheese and the vinaigrette, a perfect combo to make an amazing salad. 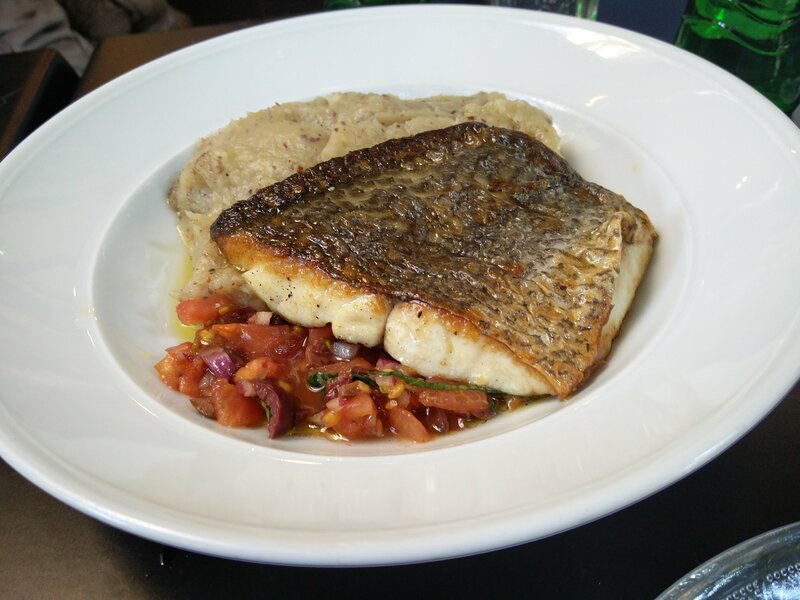 If we weren’t full by then, which we thought the meal was over, then came out a pot of sea bass on a bed of risotto(off the menu)! Are you kidding me?! 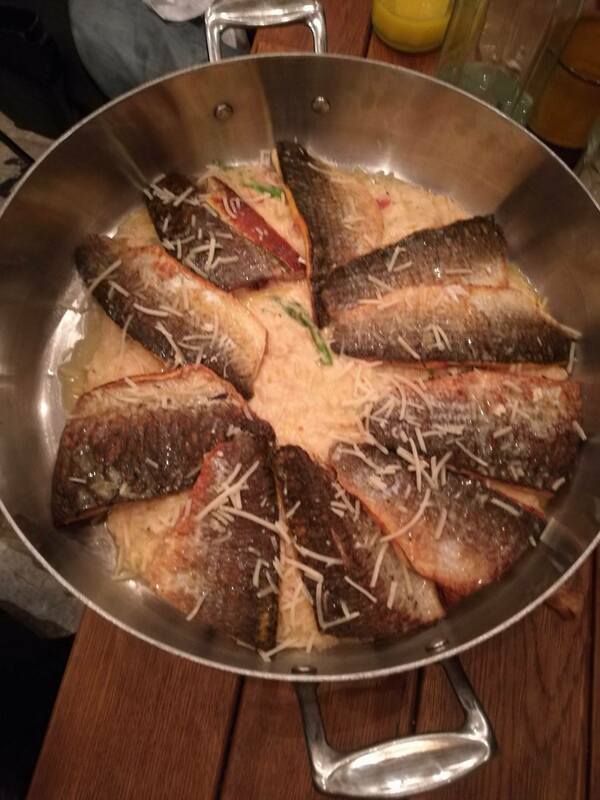 It was some of the best fish I’ve had in a restaurant ever. The risotto was the same, super creamy with a crunch from asparagus and other vegetables, I was ready to go into a food coma!!! 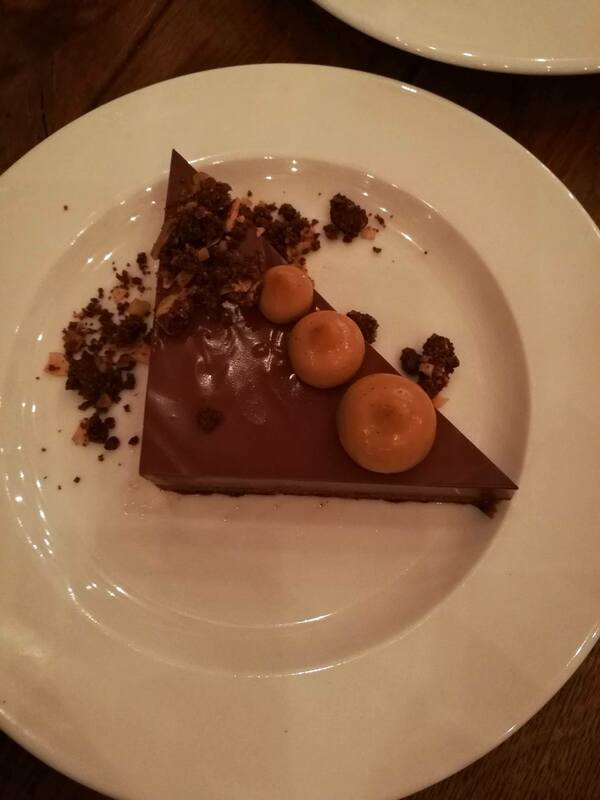 Then came dessert, we couldn’t believe it! They brought out 3 types of dessert and each one was just better than the other! 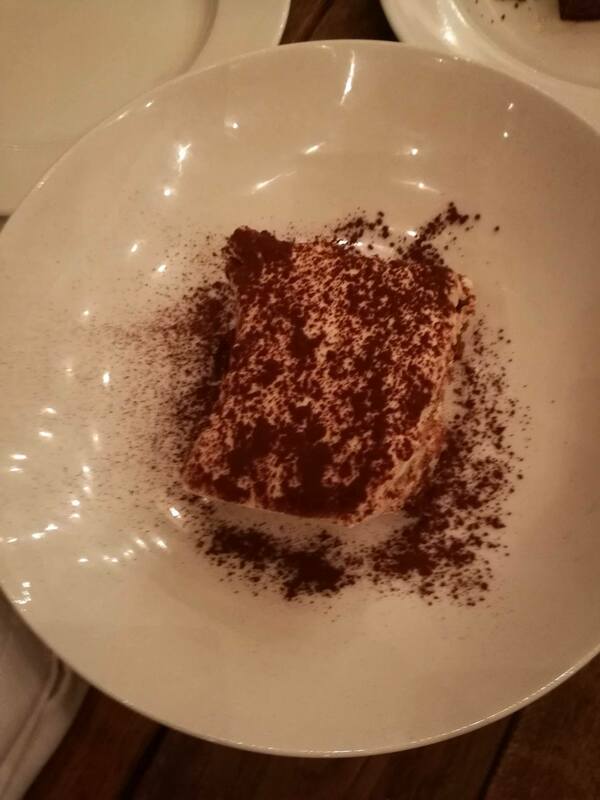 First was a classic Italian tiramisu. I’m not a coffee and rum guy, but it still tasted great, not too sweet and not overpowered by the coffee. Then was a sticky toffee pudding (Off the menu) covered in almonds and pistachio ice cream. If you have never had sticky toffee pudding before, it’s very impressive and very interesting. But the best out of all three was the chocolate cremeux. Layers of chocolate goodness topped with a dulce de leche cream, it was as I called it “death by chocolate” dessert. One of the best desserts I have ever tasted in a restaurant, period. When we were barely finished the chef came out and got a standing ovation, because he really deserved it. He was also super nice and a mench too! The experience I had witnessed (and survived) at ANNA had been just amazing! 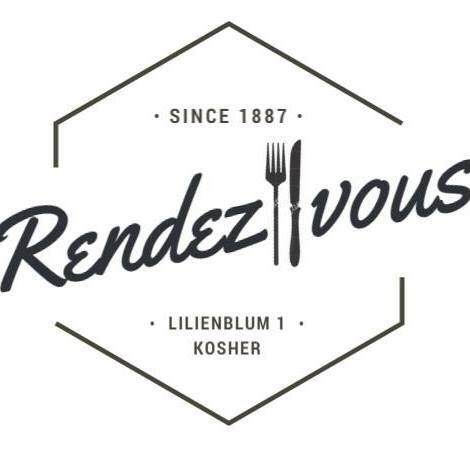 I would even say it is one of the best kosher restaurants in Israel, hands down, definitely in my top five. I really enjoyed being a guest at ANNA and I will definitely go back and try new things off the menu! A lot of people ask me all the time, where can I go out to eat and not have to spend a fortune? Where can I go and take a family of 5 without spending 300 shekels a person? So this is what I tell everyone who asks; you have 2 options: 1. 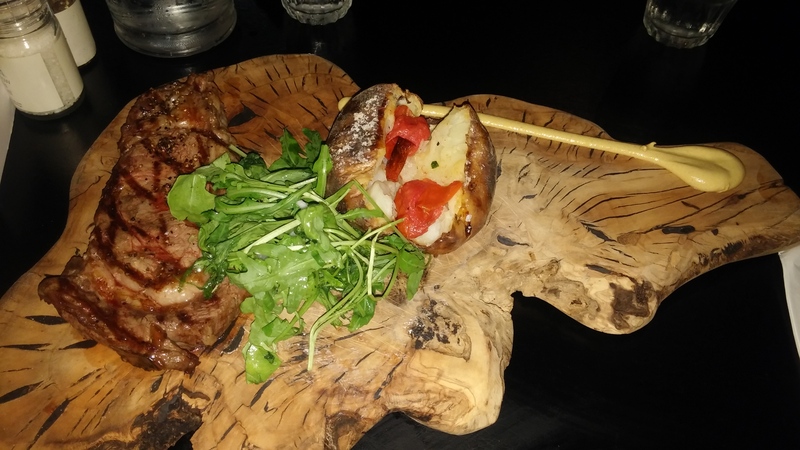 Go to any shupudia (an Israeli Steakhouse) where you can order 2 skewers with perfectly grilled meat, fresh salads and fresh bread. The ambiance leans toward the fast food and not fine dining but you get what you pay for. By the way, I highly recommend many of these shipudias, whether it’s Grill Bar or Tzidkiyahu, because you get your value for the money. But when a family is looking for a place with a nice ambience, great food and restaurant service, I recommend Medita. Medita is the brainchild of chef Motti Ochana owner and operator of the gourmet restaurant Hechatzer(one of my favorite kosher restaurants in Israel) Chef Motti decided to open up a second location a bigger location, but with more affordable prices without compromising the quality and level that the chef brings. Nothing on the menu looks cheap and is definitely not fast food. We went two couples so we ordered 2 starters and the house bread. 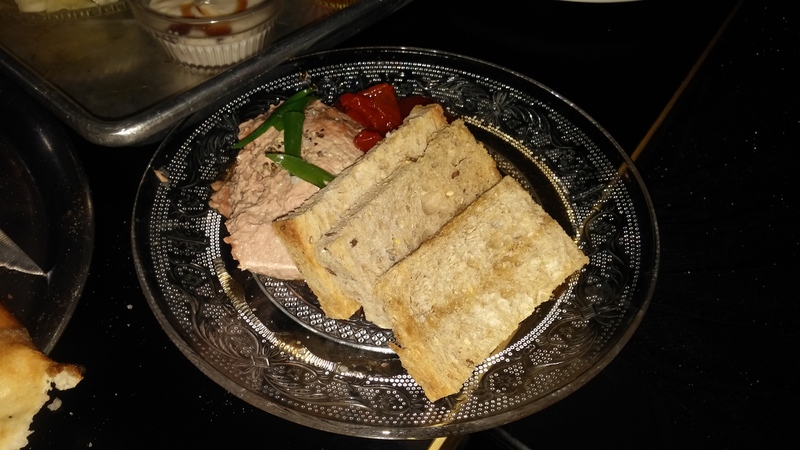 One of the starters was a sabich salad, and the other was the pate mix with the cherry tomato jam on toast. In a very non Israeli manner, all of the apps came out at the same time! We started with the bread and the dips, the bread was super fresh and crunchy, and had no clue what some of the dips were but they were a delight. The sabich salad was very nice with little pieces of toast to accompany the boiled egg and eggplant tehini sauce mixture. There was some chili in there as well and that gave the dish a nice kick and a great way to finish it off! The pate was out of bounds, I’ve had it before in Hechatzer and it was just as good; smooth texture, sweet and savory with a perfect crunch from the toast. For the main course I ordered a medium rare steak with a baked potato and my wife ordered the “hechatzer “short ribs. Again, all the dishes came out the same time and definitely a highlight of the night. My steak was cooked to a perfect medium rare with the right amount of seasoning to make it complete. I didn’t really care for the baked potato because there was nothing special about it, no toppings or a dipping sauce to accompany it (it had a roasted cherry tomato on top, whoo hoo). 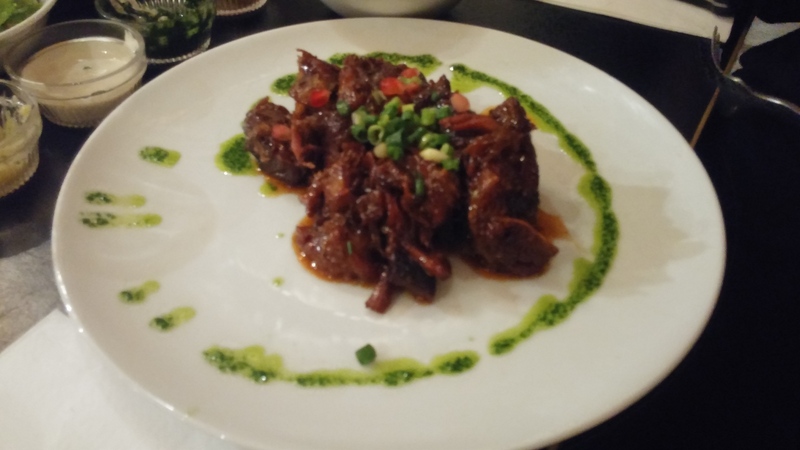 The asado (short ribs) had a nice topping by adding pomegranate with scallions, it was a very very filling dish. Perfectly sweet, it’s a very heavy dish to eat alone, but it is so good! 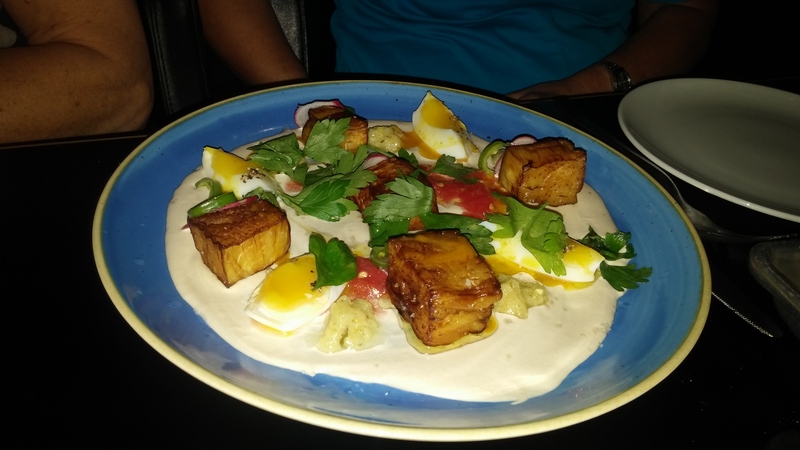 A great location, great service, delicious food, all in all, Medita is a great middle range meat restaurant that fills out all the criteria of fine dining without making a hole in your pocket. Lots and lots of people on social media have asked me and many of the foodies in my group, where does one get authentic Chinese food? As a kosher food eater, the options are quite limited. 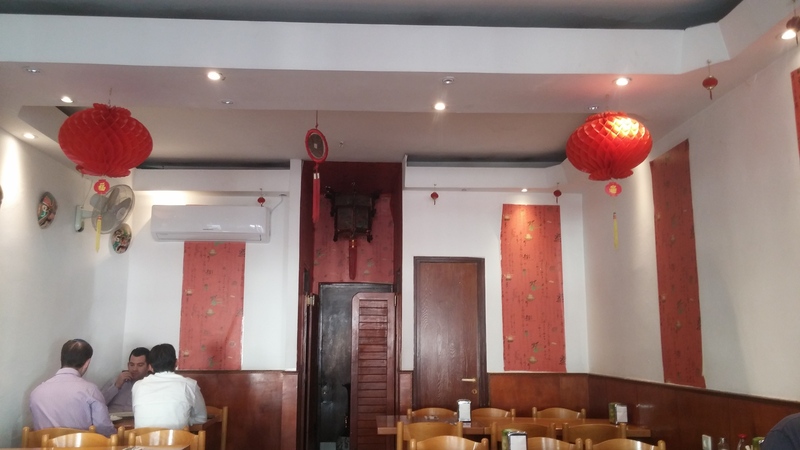 When I was growing up in Jerusalem, there was an amazing Chinese restaurant called Yosi Peking(for those of you who remember), and they were as close to authentic kosher Chinese food could find in Israel. Sadly, they shut down (please come back one day!) and my life went on without knowing that there was a hidden gem in Tel Aviv that serves authentic Chinese food! Once I heard about it, I had to go! Welcome Hasinit (Kosher Rabbanute Tel Aviv) opened up in 1996 and has been run by the same Chinese family that immigrated to Tel Aviv ever since. 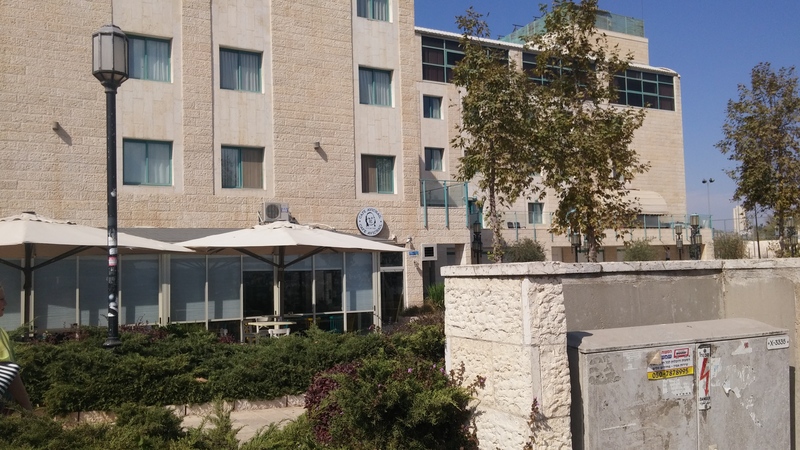 The restaurant is located on a side street in the heart of Tel Aviv not far from the Central bus station, the restaurant doesn’t have a sign outside. Although, you can tell it’s a Chinese restaurant from a mile away! politely by the owner who was super nice, and brought us a hot-pot of Chinese tea. 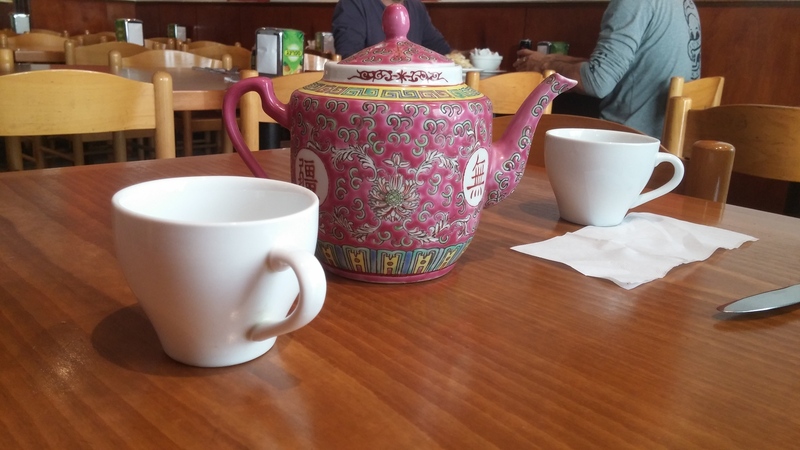 I’m not a big fan of tea, or a hot drink on a hot day, but the owner told us it was good for us so we had some of the tea and it was quite delightful. 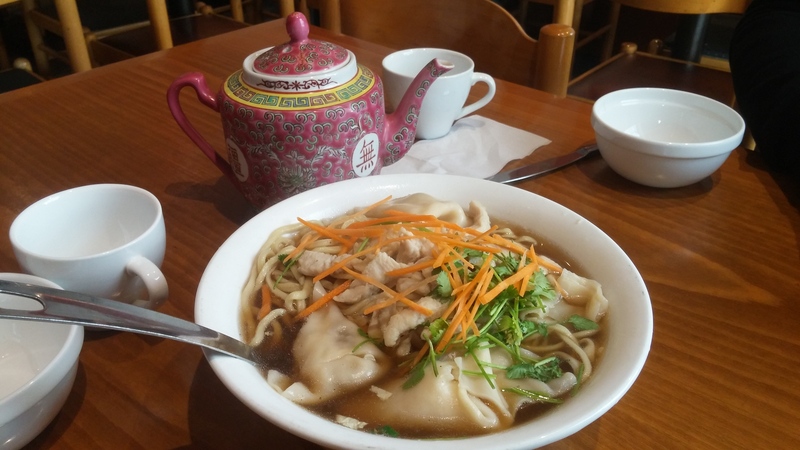 Then we looked at the menu and I have been craving wonton soup ever since Yosi Pekin had shut down, and there it was, the first thing on the menu! I was already so excited, but then it got better, the owner said that the wontons’ and the egg noodles in the soup were hand-made! Now I was ecstatic! With the soup we ordered the business menu that comes with 2 types of dumplings and a main course, but the soup is all we really wanted. After a few minutes they served up two types of piping hot dumplings with a soy dipping sauce. 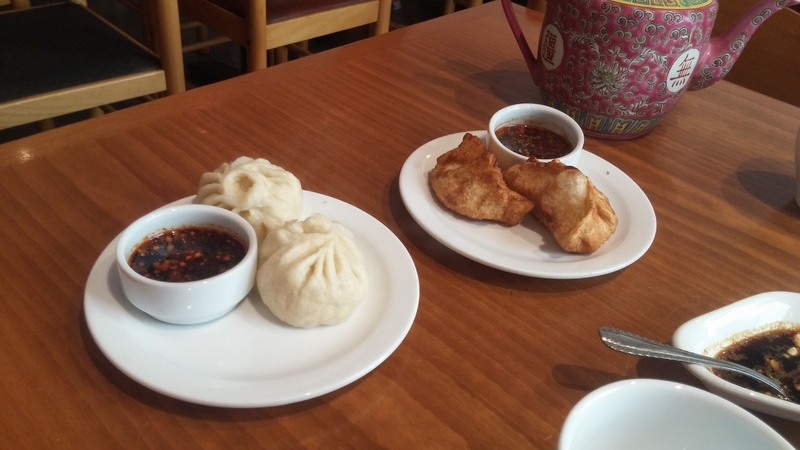 One was a potsticker filled with chicken and fries the dough until it was crispy, and the other dim sum filled with chicken and was steamed. Both of them made by hand and not bought made all the difference. The crispy dim sum (potsticker) was crunchy and filled with chopped chicken, not mushed chicken. That’s where you can tell the difference. The steamed dim sum melted in our mouths it was so good. The soy and chili dipping sauce was a nice addition but the dim sum had enough flavor it didn’t need it. Then we were served the soup. Let me tell you, the soup is definitely worth the trip, it’s massive, full of fresh ingredients and steaming hot! The broth is made in-house from chicken bones the wontons are full of fresh chicken and melt in your mouth. The homemade noodles have great texture and add a ton to the soup. Then to top it off they put in glass noodle, fresh coriander, carrots and sprouts for a nice crunchy texture. The perfect bite for a wonton soup. It brought back great childhood memories, let me tell you. At this point we were practically full, but we had already ordered the main course with business lunch. The main course of the business lunch was ok, but there wasn’t anything special about it. 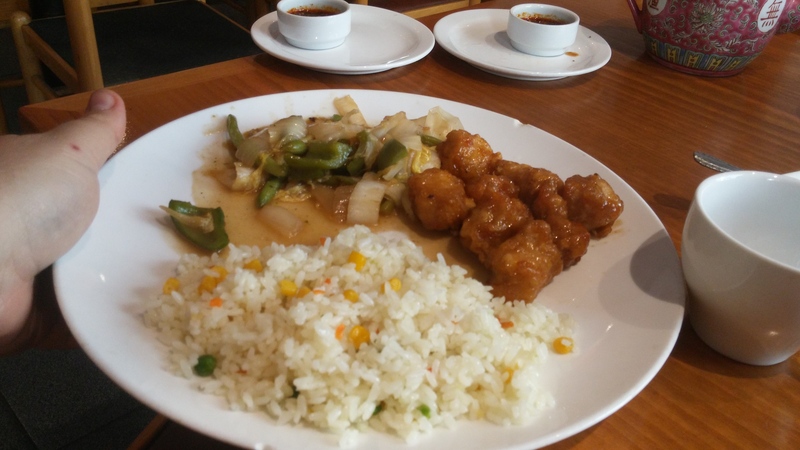 The sweet and sour chicken was nice, as the stir fried vegetables and the rice, but it felt like cafeteria food. Next time I go, I order only off the menu. I felt that everything that they make in-house is really delicious and worth trying, unlike the disappointing business lunch. 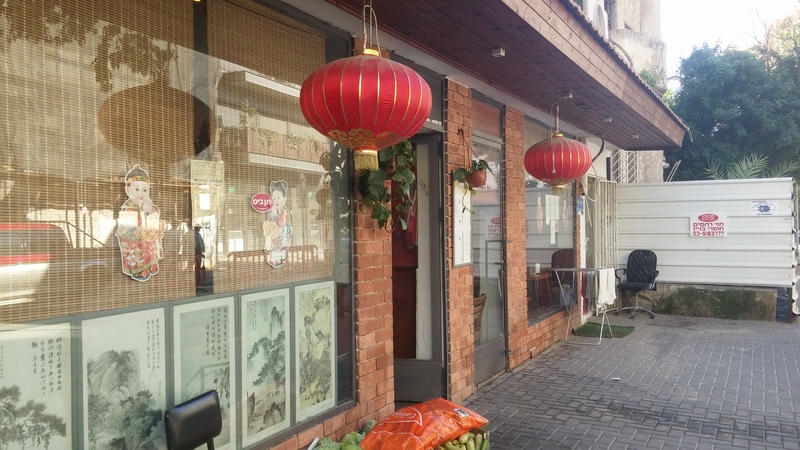 If you find yourself in Tel Aviv and looking for a great kosher authentic Chinese restaurant, there is only one place to go and that’s the Choma Hasinit. 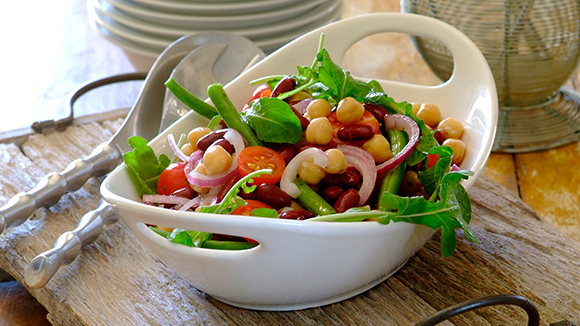 I know that this recipe is a classic and many of you may think it’s outdated, but when you put it out at a barbecue, it’s a perfect salad that gets gobbled up in the end. 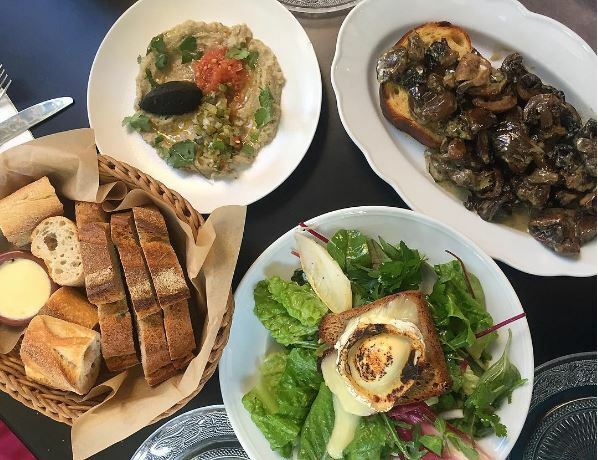 I don’t make it out to Tel Aviv, often, so when I do find myself in the city, I try to hit up the best restaurants, whether meat or dairy. If it was to try the best shwarma at Turk Lachmajun, or an amazing burger at Magic burger, only places where the food is worth traveling to. So, when I hear that there is a restaurant that serves the best lasagna in Israel is in Tel Aviv, I make time and try it. 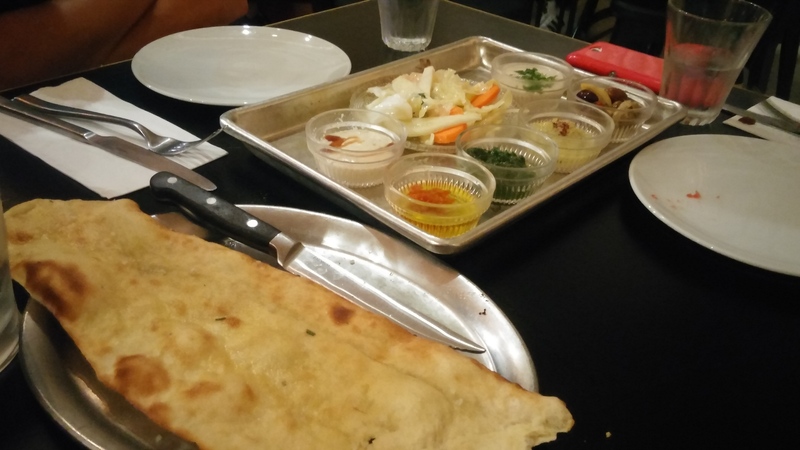 La Lasagna (Kosher Rabbanute Tel Aviv) has been around for a long time, and I feel that the explanation to that has been: evolution and consistency. 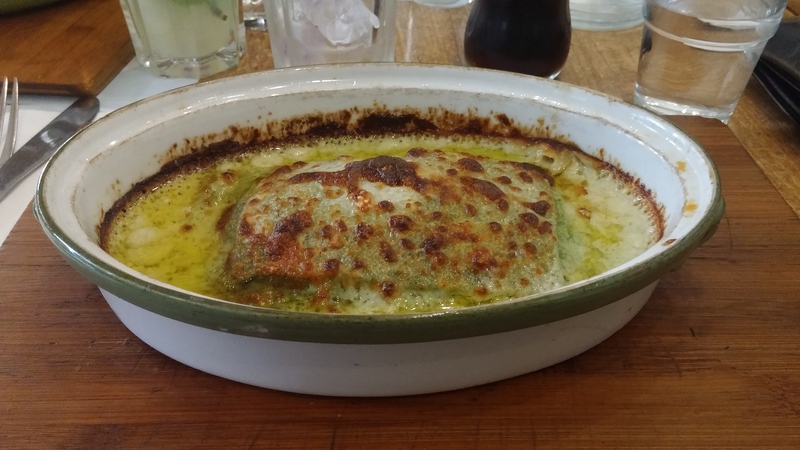 If you ask anyone that has tried their homemade lasagna, if it has changed since the last time they tried it, they would tell you it hasn’t and has stayed spectacular since the day they have opened. 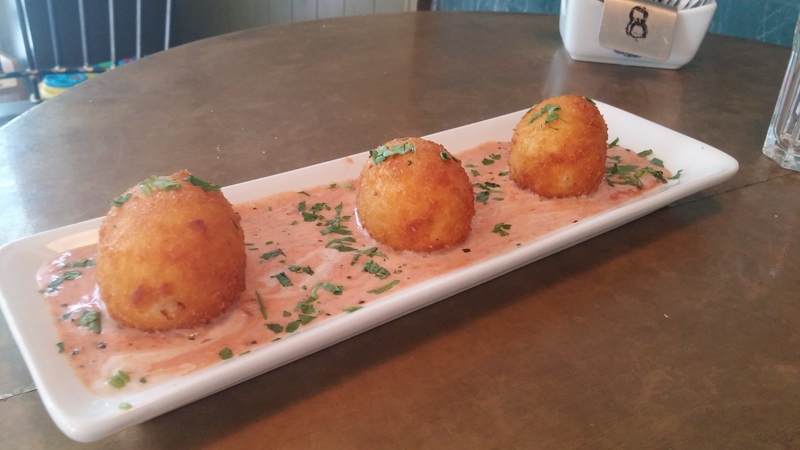 They have stayed as authentic as can be, as true to a dairy Italian eatery can be. The evolution part is that they also have whole wheat options and a full gluten-free and vegan menu. 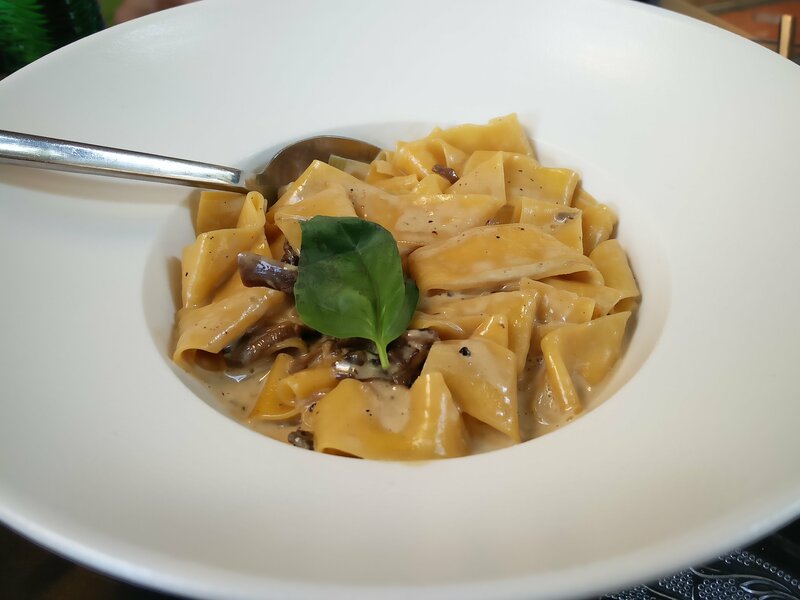 Being able to offer a dish for everyone isn’t a given in an Italian eatery so hats off to the owners for evolving. I invited my good friend Keren Brown for lunch at La Lasagna even though she’s super busy, and we ordered some lunch. 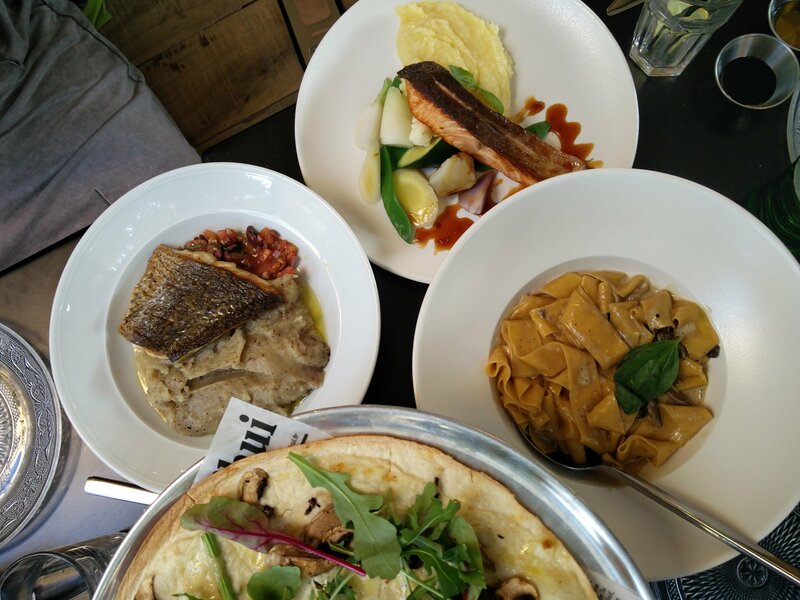 For those of you who don’t know Keren, follow her on her foodie adventures around Tel Aviv, she’s awesome! Back to the ordering I got there early and was hungry, so I ordered the bruschetta and for the main we ordered two types of lasagna, the classic and the ricotta and spinach. The menu offers so much more like pizza’s, pastas, salads and so much more, but I was there for the lasagna. One of the most beautiful things about small family restaurants is that they stay legit like I mentioned earlier and boy every dish was authentic and delicious. 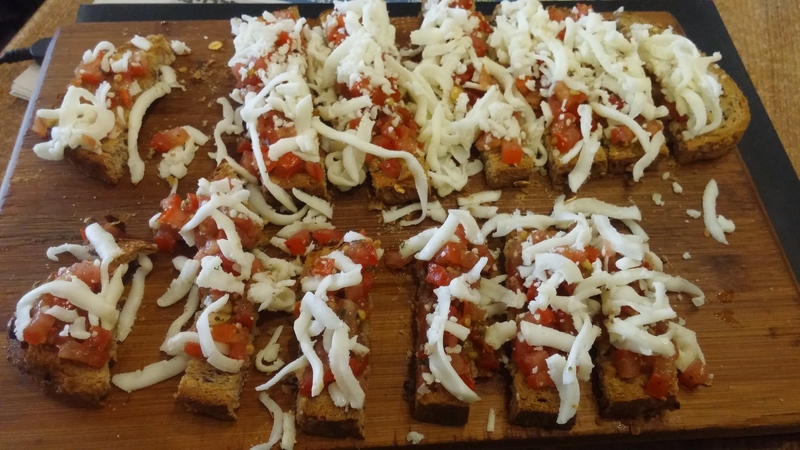 The bruschetta came with slices of fresh whole wheat bread with lots of chopped tomatoes, fresh basil and mountains of fresh mozzarella cheese. 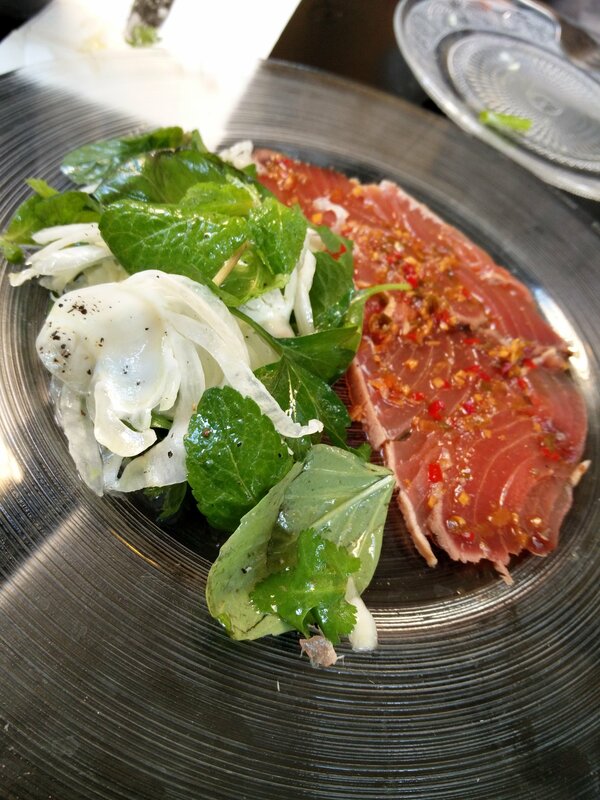 An enormous appetizer for one person, but it was so good, the freshness of the ingredients is what makes all the difference. Then came the two lasagna dishes, piping hot and just looked amazing. While we were waiting for the dishes to cool down I couldn’t stop drooling (For those of you who don’t know me, I’m a lasagna freak, like Garfield!). Anyway, once the dishes cooled down and snapped some great photos (as you will see) we dug in, and boy it was good. 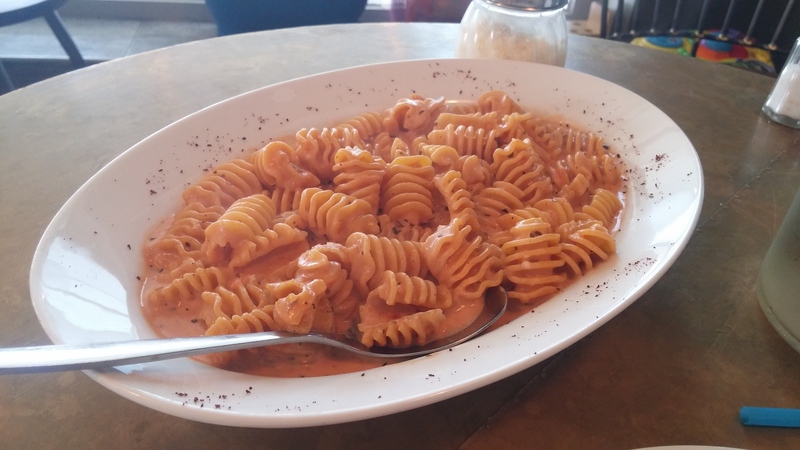 The fresh pasta sheets that they make for the dish are perfectly sized not to thin or thick, the sauce was seasoned perfectly and the amounts of cheese wouldn’t embarrass any Italian eatery. 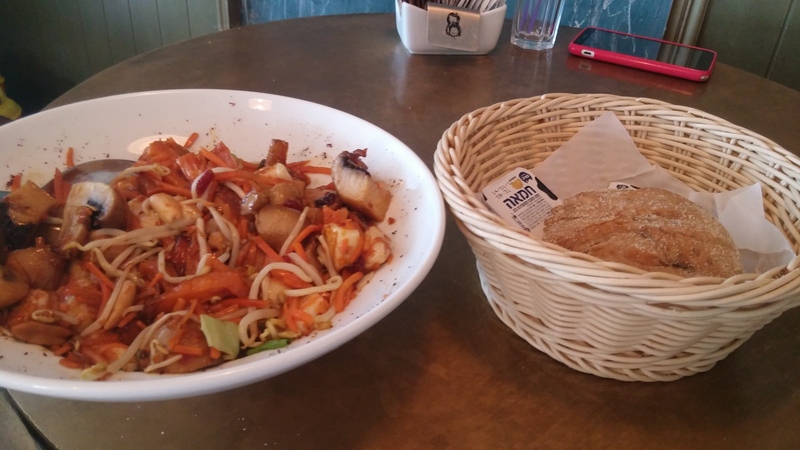 The portions were perfect, and getting two different dishes was a great choice. One had the perfect spinach to ricotta ratio and the other had the perfect cheese to sauce ratio. A simple dish made perfectly, that’s how I would describe both lasagna dishes. 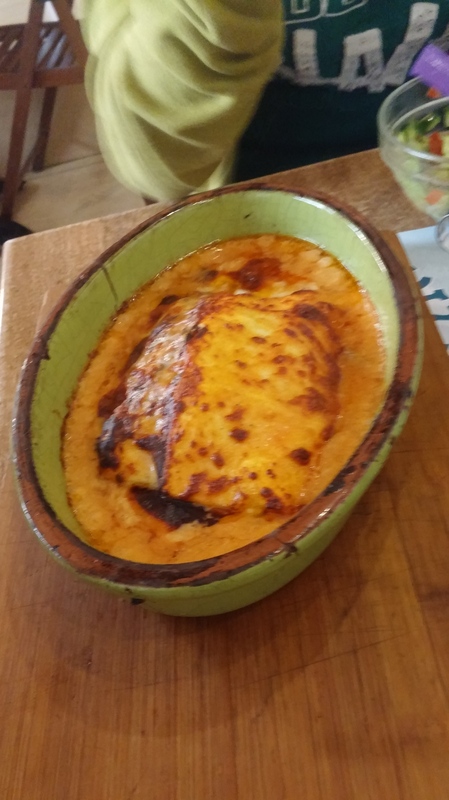 I must admit, almost every dairy coffee shop\restaurant serves a lasagna dish, but at La Lasagna they make it special and definitely worth the trip to Tel Aviv.